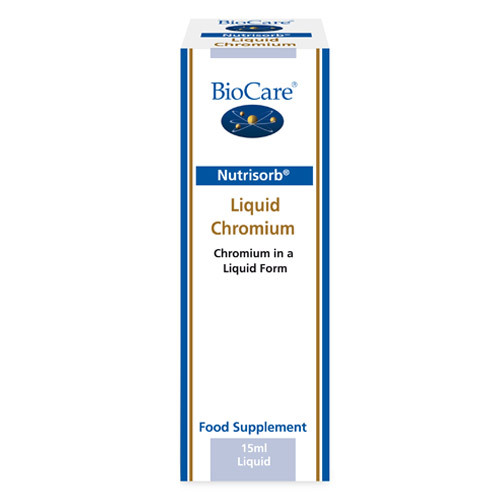 Nutrisorb Chromium is a highly bio-available liquid formulation of this vital mineral. Nutrisorb liquid minerals are ideal for individuals with absorption difficulties or for those who have difficulty with swallowing tablets and capsules. 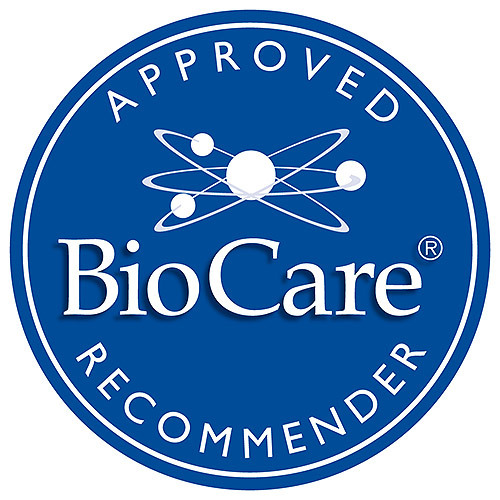 Chromium is recommended by the U.S. Government National Research Council as a superior form of chromium for bioavailability and biological activity. The U.S. recommended daily amount (RDA) for chromium has been established at 40-200mcg per day. Suitable for children from 6 months and for the elderly. Purified Water, Chromium Chloride, Citric Acid, Preservative (Potassium Sorbate). One drop taken twice daily in water with food, or directly under the tongue or as professionally directed. Below are reviews of Nutrisorb Chromium - Liquid Chromium - 15ml by bodykind customers. If you have tried this product we'd love to hear what you think so please leave a review. 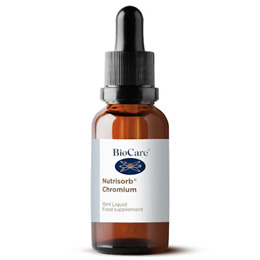 Nutrisorb Chromium is a highly bio-available liquid formulation of this vital mineral. Nutrisorb liquid minerals are ideal for individuals with absorption difficulties or for those who have difficulty taking tablets and capsules.